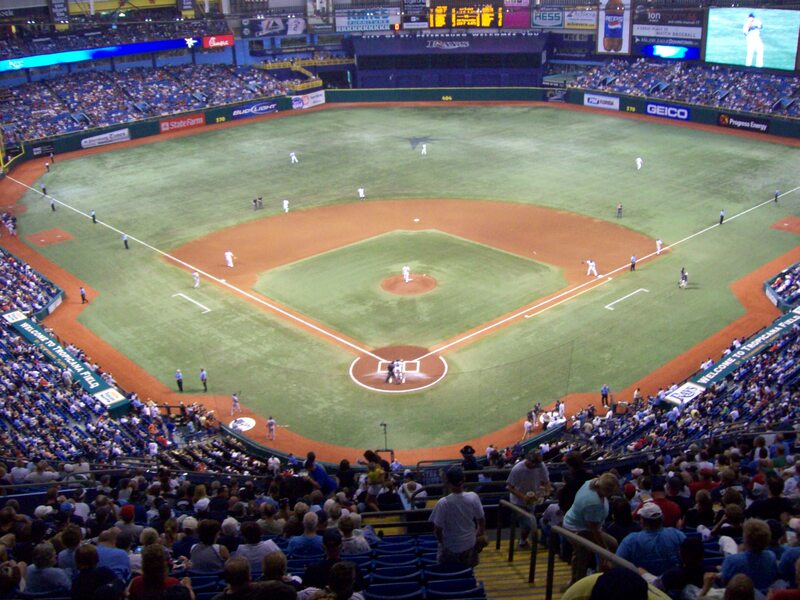 Last Tuesday I went with a friend to The Tampa Bay Ray’s stadium, Tropicana Field, where we watched the first place Rays defeat the second place Red Sox 2-1. It was a great game and the Rays did not win it until the bottom of the ninth, when our catcher, Dioner Navarro hit in the winning run. I noticed something about the Red Sox fans. They came into our home ball park but still dressed and acted like they would at Fenway. They did not buy the Tampa Bay Rays t-shirts and caps and try to blend in at all. While most of them were very polite and pleasant to be around they still made it clear that Tropicana Field was not their home and the Rays were not their team. They did not mind looking like visitors. They did not mind that they dressed and looked different. They were proud of their team and where they were from.